You don’t need me to tell you that social media is a powerful tool for engaging with your target audience. By now this is common knowledge. Case in point: as far back as 2014, 88% of companies had at least some type of social media presence. 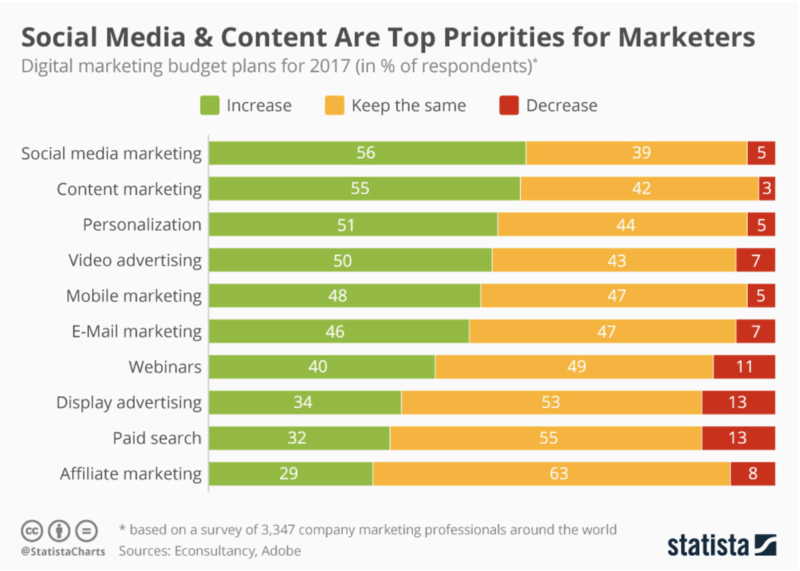 To add to that, from 2016 to 2017, 56% of marketers increased the amount of money invested into their social media marketing initiatives. Of course, the obvious takeaway here is that you pretty much need to be active on social media in order to maintain relevance within your industry. But the fact that most (if not all) of your competitors are active on social media also means you now have the ability to gain valuable insight into the way in which they do business, simply by analyzing and assessing their presence on various social media platforms. In this article, we’ll discuss three ways in which you can use the readily-available information showcased on your competitors’ social media pages to improve your own processes – enabling you to become the go-to brand within your industry. Alright, so maybe the word “spy” is a bit much; we aren’t going to be dealing with corporate espionage or any other black-hat methods, here. As we said, the information we’ll be discussing throughout this article is readily available. That being said, it’s easy to overlook the opportunity this free access to such information provides your company. As we’ll get into shortly, it’s not just the information itself that can prove to be valuable – it’s also the way in which you look at the info that can make a difference to your organization moving forward. By checking out each of a given competitor’s social media pages and profiles (e.g., their Facebook page, Instagram profile, Twitter feed, etc. ), you’ll gain a well-rounded understanding of the various ways they use social media to promote their brand. As you scroll through their various feeds, you’ll easily be able to see what kind of content they’re creating and promoting, as well as what topics they’re covering within this content. This, in turn, will give you a good idea of their overall purpose for using the platform in the first place. 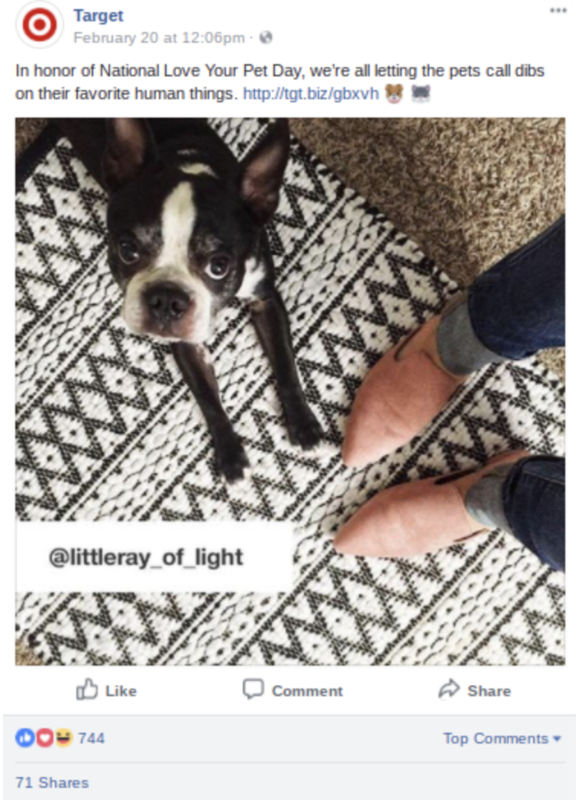 Following the link within the post brings you to the company’s “Finds” page focusing specifically on pet-related products. Clearly, then, Target is using its Facebook presence to directly promote sales. Here, Target isn’t promoting a specific product or group of products at all. 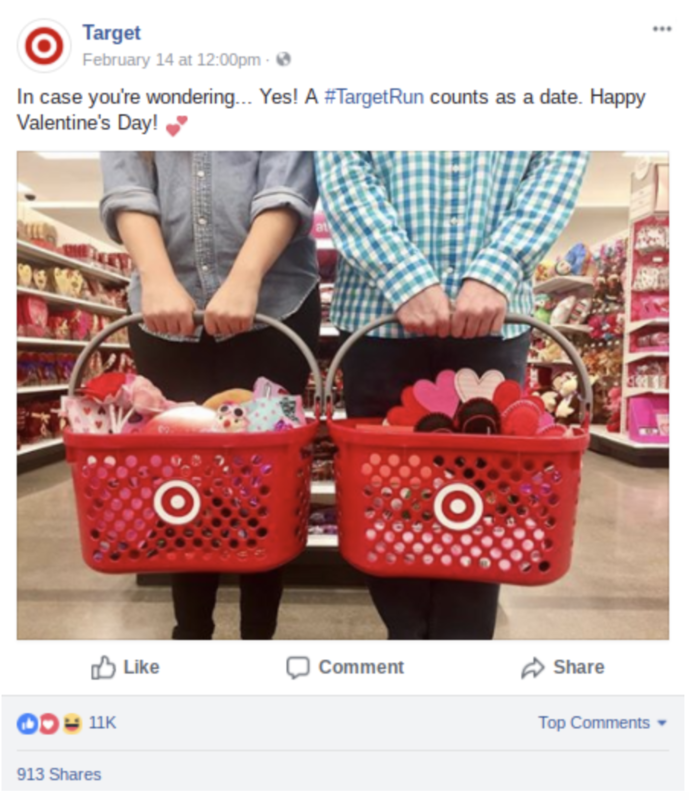 Rather, the post promotes the brand as a whole, prompting couples to head to their nearest Target store for a little “shopping date.” And, even if those who saw this post didn’t actually go to the store, they may have “liked” or commented on the post, resulting in the company gaining even more exposure (as if Target needs it…). By scrolling through your competitors’ social media pages, you can gain an understanding of how they use each platform to promote sales, increase engagement, and build their overall presence on the web. In turn, you’ll have a better idea of how to mix up your own content – and perhaps gain some ideas as to the kind of content you should focus on creating in the future. Also worth noting is the amount of engagement each type of post receives on your competitors’ pages. For example, the cutesy, non-sales-focused post above generated a lot more engagement than the one that linked directly to a sales-focused page on Target’s site. While you’d of course need to assess more than two posts before jumping to any conclusions, if such trends prove to be the norm, you’d know to shy away from being overly-promotional in your social media postings. 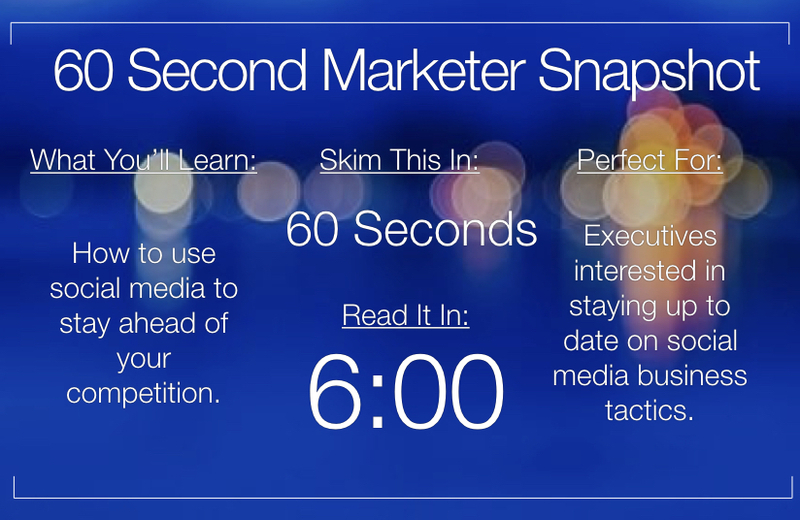 One last thing to mention, here, is you also want to pay close attention to the timing of your competitors’ social media posts. 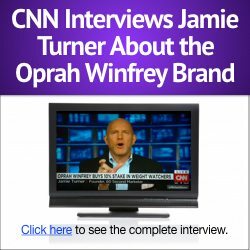 While there are certainly a number of tools available to help you determine the best time to post your content on a given platform, there’s no harm in manually taking note of when your competitors typically post content on their pages, as well – and how this timing affects their engagement metrics. 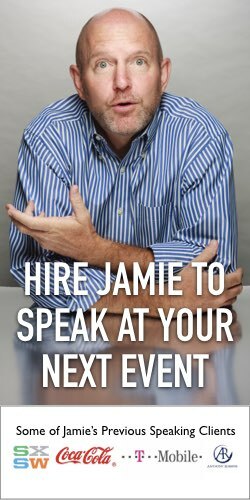 If you’re just getting your feet wet in an industry, you might not know as much about your target audience as you need to in order to be successful. Luckily, you can gain a ton of information about your ideal customers by analyzing your competitors’ social media following. Again, while you can use certain tools and technology to help you gather this info, you’ll also want to do a bit of manual research, as well. 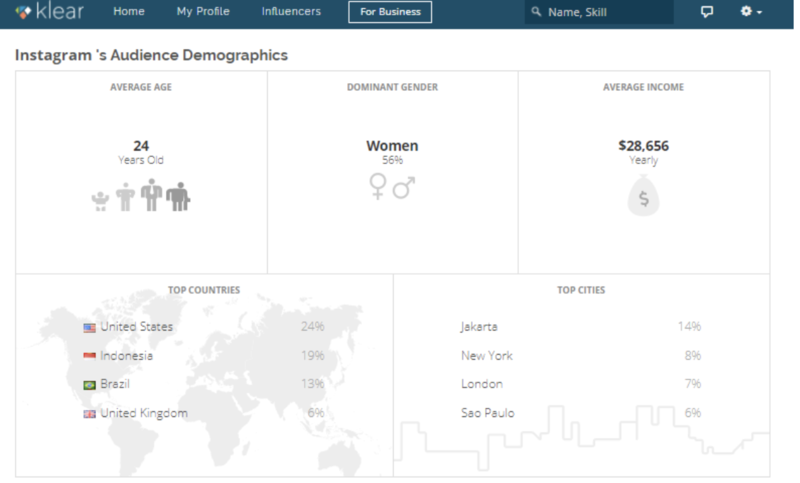 To start things off, you can use tools such as Klear to analyze a competitor’s audience demographics. While this is a good start, such “on-paper” data doesn’t mean much without any context to support it; you’re going to need to dig a bit deeper to get a more complete picture of your target customers. While tools like the aforementioned Klear can help you find commonalities among the various members of a competitors’ following, conducting a bit of manual research will likely allow you to gather more accurate insight with regard to your purposes. 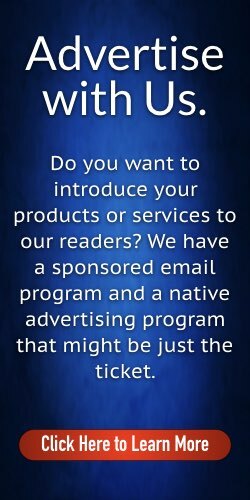 In other words, because you know best what information you’re looking for, you can focus on uncovering these specific commonalities among your competitors’ audience members. To illustrate this point, let’s say your business revolves around healthy eating. You run your competitors’ audiences through a few analytics tools, which finds that a good percentage of these individuals also have an interest in sewing. Well…that might help you flesh out their persona a bit, but it really doesn’t help you all that much. On the other hand, by manually digging into these audience members’ information, you might discover that most of them are heavily into fitness, as well. This piece of data is, of course, much more closely related to healthy eating – and might enable you to expand your services into this ancillary area in the future. Essentially, when analyzing your competitors’ audience members, you want to take note of their interests, goals, and overall lifestyle – not just in relation to your industry, but outside of it, as well. By gaining a better understanding of who they are, both as consumers and as individual people, you’ll put yourself in prime position to tailor your marketing initiatives and your offerings specifically to them. In addition to analyzing the social media profiles of your competitors’ customers, you also want to pay close attention to the ways in which these customers engage with your competitors on their social media hubs, as well. We mentioned before that it’s important to take note of the amount of likes, shares, and comments a given post generates – but this quantitative data is merely scratching the surface. Here, we want to focus on the qualitative aspects of such engagement instances. 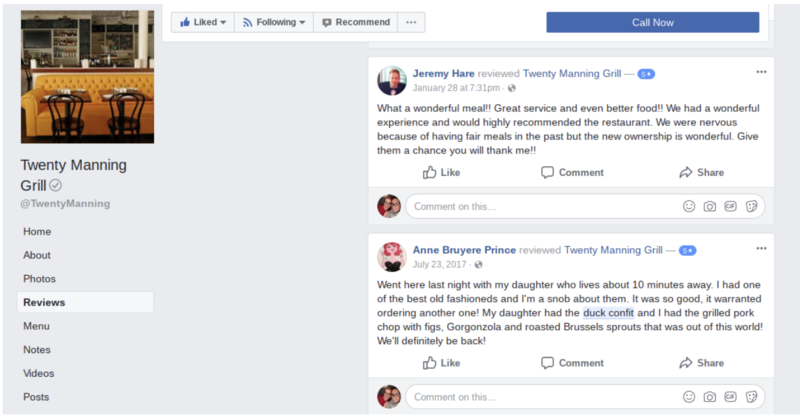 Perhaps most valuable for our purposes are the reviews and service-related comments your competitors’ customers post on these companies’ social media pages. For one thing, these user-generated posts provide insight into your competitors’ ability to satisfy their customers. In turn, you can use this information to identify gaps in your competitors’ services – and focus on strengthening these aspects of the service your company provides. Going a step further, you’ll also want to pay close attention to the way in which your competitors respond to inquiries and comments from their audience. Again, this can help you gauge the level and quality of service your target customers expect to receive from companies in your industry – in turn setting the bar for your customer support initiatives moving forward. 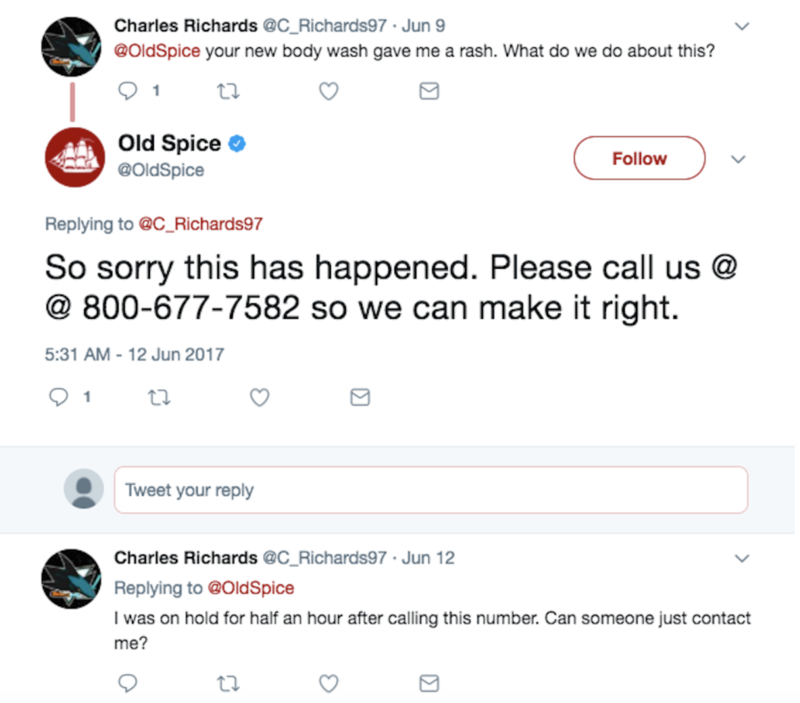 One final thing to note is that, by analyzing customer comments on your competitors’ social media pages, you can also learn a lot about how these individuals actually talk. In turn, you’ll be better equipped to speak their “language” when creating content meant just for them – increasing the chances of such content catching their interest. As we alluded to earlier, it’s no longer all that difficult to uncover important data and information on your competition and their customers. That being said, you still need to know what you’re looking for – and how to look at it once you find it. By “spying” on your competitors’ social media hubs – and assessing them through the right lens – you stand to gain a ton of valuable insight that can enable you to make educated and informed improvements to your own products and services. In doing so, you’ll all but ensure that your brand becomes a known entity within your industry.